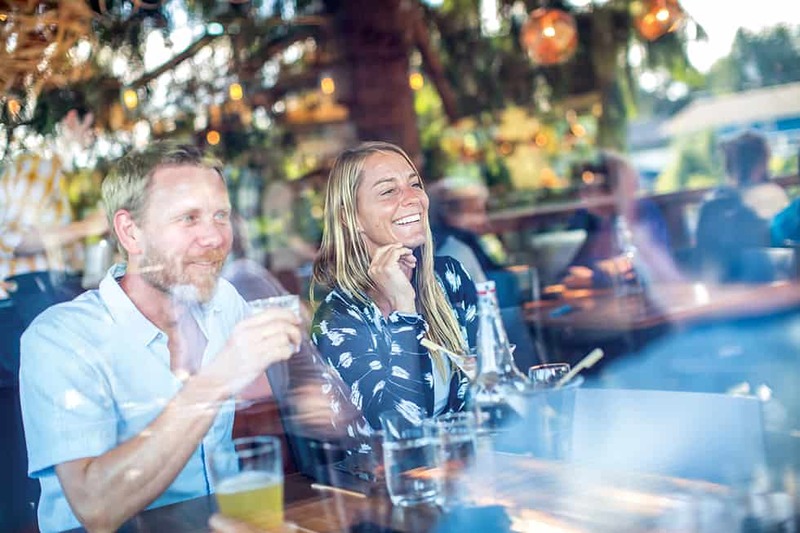 Have questions about visiting Tofino? We’re here for you. Is there a trail to see whales? There are no trails to see whales; however, whales on rare occasion can be spotted at the beach. It really is looking at the right place at the right time. Are there any trails outside of the National Park Reserve? Where can we do a longer trail? The longest trail on the peninsula is the Wild Pacific Trail. It is approximately 10 kilometers long. 2.5 kilometres of the trail loops around a lighthouse. The Wild Side Trail on Flores Island is approximately 22 kilometres round trip. Are there any trails that are more difficult? Lone Cone hike on Meares Island. Lone Cone is 730 metres and takes approximately 3 hours to climb. The majority of the climb is vertical and good hiking shoes are strongly recommended. This hike is suitable on a sunny day as the view at the top of the mountain is unobstructed. The Wild Side Trail on Flores Island is considered a moderate trail with no elevation. The trail is 11 kilometres one way or 22 kilometres round trip. The round trip hike take approximately 8.5 hours. Which trails are suitable for a wheelchair? In the National Park Reserve, there are several beach access points that are wheelchair accessible (Wickaninnish Beach and Long Beach parking lots). The only trail in the park that would be suitable for wheelchairs is the Shorepine Bog Trail. Which trails are suitable for a stroller? The same access points for wheelchairs would be ideal for a stroller. For a longer trail, the Wild Pacific Trail in Ucluelet would be good for a large-wheeled, sturdy stroller. How do I get to the Bomber Trail? The Bomber trail is an unsanctioned, unmaintained trail. As Tourism Tofino staff, we are not permitted to give directions to this trail. It is easy to become lost here and the cost for a Search and Rescue operation runs high. This said, Parks Canada have written a section about this trail in the Tofino Guide. Visitors will need to refer to this book for directions to the trail. How do I find the Radar Trail? Like the Bomber Trail, this information is written in the Tofino Guide but we are not at liberty to give any directions to the trail. Both the Bomber Trail and Radar Trail can be quite hazardous, steep and muddy and even though they are described in a book, Parks Canada does not encourage people to use the trails, as they are not maintained. For more information on Pacific Rim National Park Reserve, click here. How long is Long Beach? Including Schooner Cove, Long Beach is approximately 16 kilometres long. What trails are affected by high tide? Access to Schooner Cove Trail is not affected by a high tide; however, Schooner Cove (beach) itself is, so we recommend visiting at low tide. The longest walk in Pacific Rim National Park Reserve is the Nuu-chah-nulth trail, which is 2.5 kilometres one way and leads to Florencia Bay. Can I still walk the trails when it rains? Of course! Any trails in the rainforest (Rainforest Loop and Schooner Cove Trail) will keep you a little bit drier. Do be careful though, as cedar boardwalks can get slippery when it rains. Which trails have a lot of stairs? Most trails have at least some stairs, with the exception of the Shorepine Bog Trail, which is a flat boardwalk loop. Schooner Cove Trail, Rainforest Trail A & B,Halfmoon Bay and the Nuu-chah-nulth trail have stairs and ramps. Combers Trail and Halfmoon Bay are quite steep. Access to Florencia Bay from Willowbrae Trail and parking lot also have stairs. Why can’t we leave our dogs off-leash in the National Park Reserve? The beaches and trails of Pacific Rim National Park Reserve are important habitat for wildlife, including wolves and shorebirds, whose very survival is impacted by dogs off leash. Dogs off-leash are easy targets for cougars and wolves. Also, not everyone is a dog lover, some visitors may even have very real apprehensions around dogs. For these reasons Parks Canada demands that dogs remain on-leash. Those who fail to comply will be fined. Why do we need to pay to use the National Park Reserve? The fees support upkeep of the trails, the Kwisitis Interpretive Centre, and the general maintenance of the Park. Why is the park use fee per person and not per vehicle? This is because it is the individual who will be using the park and using park facilities. Where can I park my vehicle in the Park Reserve? Wherever there is a trail, there is a parking lot. The bigger parking lots for RVs and larger vehicles are located at Long Beach parking lot and Wickaninnish parking lot. Are beach fires permitted in the National Park Reserve? Excludes: Long Beach between the bottom of Schooner Trail and Sandhill Creek on Combers Beach; Swim Beach on Kennedy Lake. Once the fire has been extinguished, all signs of the fire must be obliterated. Which beaches are affected by low tide? None of the large public beaches are affected by low tide. However, Rosie Bay can only be accessed during a really low tide, otherwise it is inaccessible. Frank Island, at the middle section (or sandspit) of Chesterman Beach, can only be accessed at low tide. Some beach areas at Tonquin Beach cannot be accessed at high tide. Schooner Cove in Pacific Rim National Park Reserve is affected at high tide. Can we bring our dogs to the beach? Yes! Dogs are welcome on the beach however the District of Tofino bylaw officers would really appreciate if people would keep their dogs on-leash and clean up after them. Why can’t we let our dogs off-leash on the beach? There are a few reasons to keep dogs on-leash at the beach. We aim to protect the shorebirds that land to rest here on their long migratory path. If the birds are disturbed too often, they will be reluctant to return to these beaches. Another reason is to prevent owners with (potentially) aggressive dogs to roam free on the beach. Wildlife encounters, although uncommon, are also a factor at any of the beaches in Tofino. Do I need to pay to go to the beach? The public beaches in Tofino are free! If you are going to any beaches in Pacific Rim National Park Reserve, you will need to purchase a park pass. May we have beach fires? Yes; however, only at MacKenzie Beach and Chesterman Beach and only until 11:00pm. It is prohibited to use driftwood; bundles of wood can be purchased at campgrounds, gas stations and grocery stores. Beach fires must be no larger than 2 feet wide and 2 feet high, set below the tide line. Please stay by your fire until it has completely extinguished. Where are the best surfing beaches? The top two beaches are Cox Bay and Chesterman Beach. 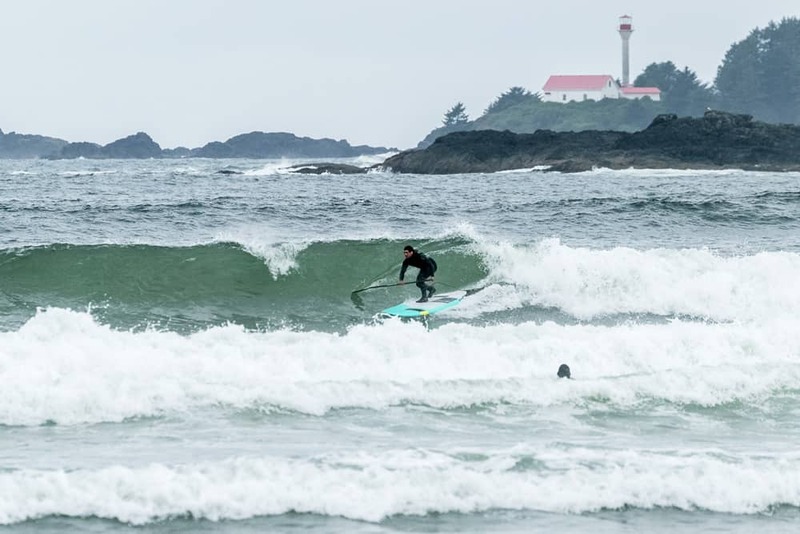 Long Beach, Florencia and Wickaninnish are also surfing areas. However, if you have not surfed before or are not a strong surfer, please visit one of the surf schools or surf shops in Tofino. If you just want to watch surfers, head to to Cox Bay, Long Beach or Chesterman. Where can I go see the tidal pools? Anywhere there is an exposed rocky area during low tide is a great place! The rocks located on the left side of MacKenzie Beach has great tidal pools, as does Frank Island on Chesterman Beach. Please be cautious of the private property lines on Frank Island. What is there to do in the rain? You can do pretty much anything in the rain (except tanning!) Good options would be to walk a trail in a rainforest, visit the Kwisitis Interpretive Centre, visit one of our galleries in Tofino, take a surf lesson, go to Hot Springs Cove, and visit the Aquarium in Ucluelet. Dressing with appropriate rain gear always makes spending time in the rain more enjoyable. Visit the Tofino-Clayoquot Heritage Museum! If you need more information pop into the Cox Bay Visitor Centre for a list of rainy day suggestions. How much does it rain in Tofino? In Tofino, we get approximately 3 metres (~13 feet) of rain, annually. That’s a lot of rain. Where can I go see the big trees in the rainforest? Two great trails where visitors can get up-close and personal with these ancient giants (Western Redcedar) is the Rainforest trail and the Big Tree Trail in Meares Island Tribal Park. How can I get to the mudflats? Sharpe Road is the road where the Dolphin Motel is located. Down this road, one can visit the mudflats. Another great option is to visit the Tofino Botanical Gardens, which back right onto the mudflats. The mudflats are only visible at low tide. What can I see at the mudflats? Tons of things! A variety of birds come to feed on the mudflats. Land mammals such as wolves use the mudflats as a bridge between the islands. What is the temperature of the water? The temperature of the water doesn’t change too much, staying between 7-15°C. Should I be worried about insects? Not at all. While mosquitos are uncommon here, black fly “season” lasts for approximately three weeks in June. Wasps tend to stay around through the summer. While wildlife encounters are not a daily occurrence here, Tofino is surrounded by wilderness and wildlife corridors and passages. What to do if you see a Black Bear? Do not run and do not make direct eye contact. Pick up small children and stay in a group. Black away slowly and speak in a soft voice. Black bear attacks are rare and the bear typically gives warnings before any potential attack. What to do if you see a Cougar or a Wolf? Keep calm. Pick up children and small pets immediately. Make yourself look as large as possible and back away slowly, keeping the cougar/wolf in view, and allowing a clear exit for the animal. Never run or turn your back- sudden movements may provoke an attack. If you notice that a cougar is watching you, maintain eye contact with the cougar and speak to it in a loud, firm voice, reinforcing the fact that you are a human. Back out of the area and seek shelter. Cougars in conflict are usually young cougars that have not yet learned how to hunt efficiently, or are older cougars that can no longer hunt efficiently in the wild. They may view children as an easy target, due to their high-pitched voices and small size. Can I take a different road to get to Port Alberni from Tofino or Ucluelet? There is only one road access from Port Alberni to Tofino and Ucluelet; Highway 4. Are there any buses in Tofino? Do any buses take us to the beaches? We do have a beach bus that runs only during the summer months. Passengers ride for free! There’s Tofino Taxi. Their number is 250.725.3333. How can I get to the other islands around Tofino? There are several options. The majority of the whale watching companies offer transportation to Meares Island. Not all companies go to Vargas or Flores Island, the Tofino Water Taxi provides that particular trip. Another option is to kayak to the islands with a guide. Lastly, and this pertains to only Flores Island, is the Ahousaht Pride (250.670.9563). This boat leaves Tofino at 10:30am and at 4:00pm. It is suggested to call before suggesting departure times. Where can I find a Charging Station? There are a few charging stations in Tofino. 100% of the ports are level 2 charging ports and 82%of the ports offer free charges for your electric car. Are there any bike trails? There are no designated bike trails in Tofino other than the Multi-Use Path. However, there’s the Tuff City Bike Park! Located at the Tonquin Trail trailhead by the Community Hall, the Park is open to riders of all skill levels and ages. It includes dirt jumps, log rides and a wooden pump track. How long is the bike path? The bike path begins in Tofino and ends at the Cox Bay Visitor Centre. This path is roughly 7.5 kilometres long. Can I bike to Long Beach? It is possible; however, especially with the hustle and bustle of summer, it should not be recommended and there is no shoulder for a section of the highway that results in a very narrow area. Keep in mind that most visitors are unfamiliar with driving in this area and that may put the road cyclists at risk. If you are going to cycle on-road, it is advised to leave early in the morning as to avoid heavy traffic. Also be sure wear a helmet. It is a law in BC. Where can I rent bikes? We have some bike rental shops around Tofino. These include: Tofino Bike, TOF Cycles and Whalers on the Point Guesthouse Hostel. Where can I rent strollers? Where can I rent a scooter? Where can I rent surf equipment? There are a number of surf shops in Tofino with rentals: Long Beach Surf Shop, Pacific Surf School, Live to Surf and Westside Surf School. Where can we rent kayaks? Paddle West Kayaking and Tofino Sea Kayaking will rent to intermediate kayakers. They will ask the visitors to demonstrate their skills in the harbour before renting out the kayaks. Tofino Paddle Surf also offers kayak rentals for all levels. You can launch right from MacKenzie Beach and explore the calm waters up to Tonquin Beach. Can we rent a boat? Boat rentals do not exist in Tofino; however, visitors can charter a boat through fishing or whale watching tour companies. Where can we rent a vehicle? The Budget car rental is located at the Tofino-Long Beach Airport (YAZ), accessed across from the Long Beach parking lot turn-off. There is limited fleet, so it is important to book ahead. Where can I park my RV? Tofino has free street parking with certain time restrictions for vehicles and Recreational Vehicles in specified areas. RV day use parking can be accessed in the lot off Campbell Street for a minimal charge. For a parking map, please click here. For more parking info see our Parking page.